Read about Belvedere in the Daily Progress Tomorrow! 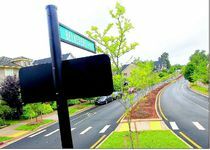 Read all about Belvedere streets on the front page of the Daily Progress and on Charlottesville Tomorrow! Developed by New Belvedere Inc. Copyright © 2017 Belvedere. All rights reserved. Site powered by nectar.